Crowded teeth, are actually a symptom that your child's jaw and face are not developing correctly. Also, by intervening early, the jaws can be developed naturally to ensure the removal of teeth, in most cases, is not required. 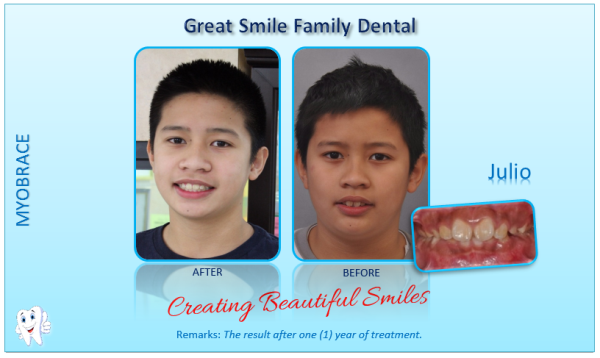 Additionally, jaw and facial development can be optimised and treatment tie in braces can be significantly shortened. 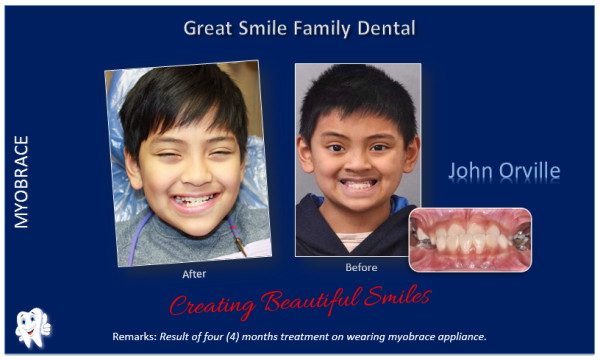 The state-of-the-art Myobrace appliances are the best way to correct to correct the muscular causes of crooked teeth and poor facial development and are only worn for 1 hour during the day, plus overnight. By correcting the bad oral habits, children are able to grow naturally to their genetic potential. 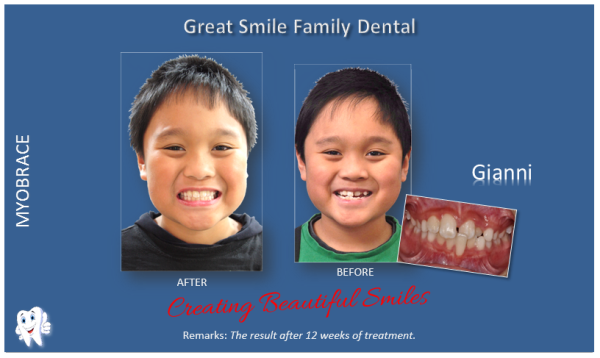 For a free consultation, please contact your friendly team at GREAT SMILE FAMILY DENTAL.